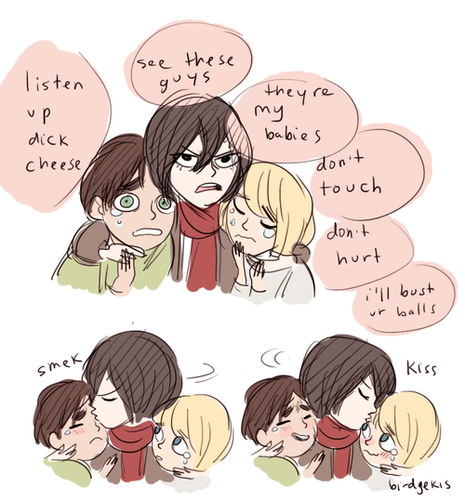 Eren, Mikasa and Armin. Aww!. Wallpaper and background images in the शिंगेकी नो क्योजीन (अटैक आन टाइटन) club tagged: attack on titan shingeki no kyojin anime mikasa ackerman eren jaeger armin arlert.